Sonny Nicotera is a 60-year Melrose Park resident. Right out of high school Sonny took the route of many area residents of that era when he went to work at International Harvester (today known as Navistar) in Melrose Park. Sonny was a hard worker and eventually rose through the ranks to a management position in accounts payable. At the age of 35, Sonny was presented with a golden opportunity when the Chicago Northwestern-Union Pacific Railroad offered him a position as Manager of their Dining Car Services. He eventually ascended to be in charge of the railroad’s sleeper cars, bar cars and dinning cars. After 26 years working in the railroad car food industry Sonny retired. Sonny Nicotera is one of Melrose Park’s leading citizens when it comes to volunteering for village organizations and causes. He believes that one should leave their community a better place than when they found it. If that is the case, Melrose Park is a better community for Sonny Nicotera living here. Sonny is very active in Mt. Carmel Parish where he is a long time Eucharistic Minister and is presently the President of the Parish Council. He is also a long time board member of the Our Lady of Mt. Carmel Feast Committee and has served as its president on two different occasions. He is a member of the Veteran Park Senior Club. He is very active in groups and organizations that promote and celebrate his Italian heritage. 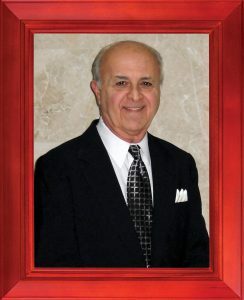 Mr. Nicotera is involved with the Joint Civic Committee of Italian Americans, the Calabrese in America Organization, and a Member of the Italian American Executives of Transportation Board.